It’s no secret! Girls love fashion and getting dressed up in the cutest clothes and accessories. 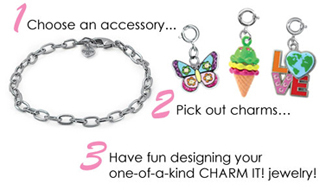 CHARM IT! 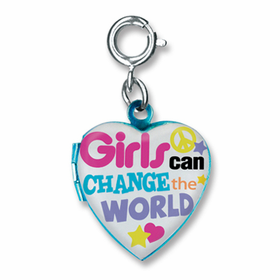 ® Charms give any girl the option of changing their stylish look any day of the week. Why spend money on a variety of bracelets when you can just keep changing the one you have? 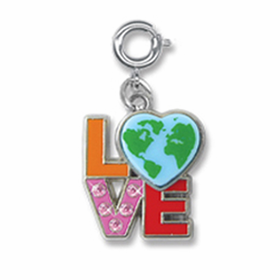 Adorn your wrist with a beautiful CHARM IT!® butterfly charm, or show you’re love for globe-trotting with an adorable CHARM IT! 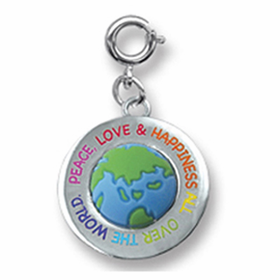 ® Globe Charm. 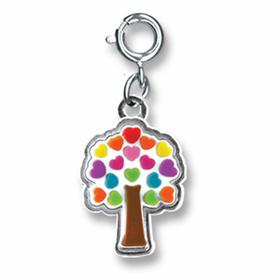 When it comes to CHARM IT!® Charms, the possibilities are endless.